Aren’t safe investments enough to meet financial goals? One must keep in mind that the regular expenses as well as the cost for various financial goals rise over a period. 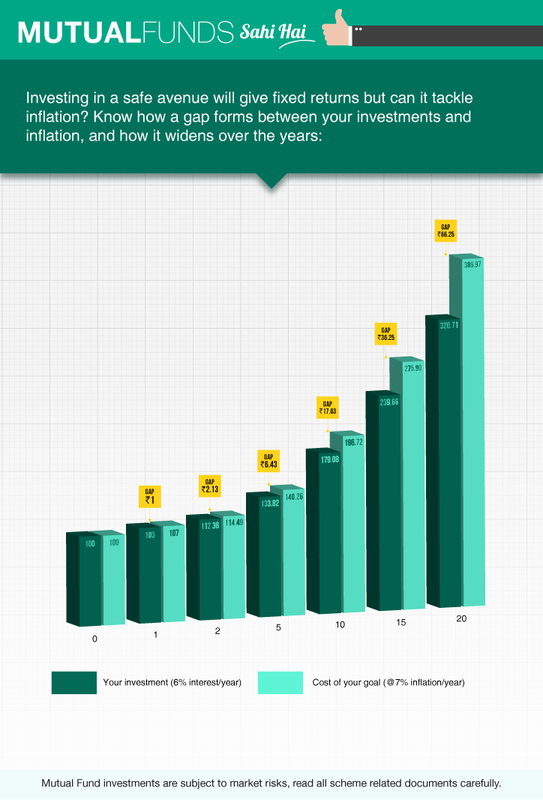 If the inflation is at 6% per year, the cost of a goal doubles over approximately 12 years. However, if the inflation is at 7%, the doubling happens roughly in ten years. 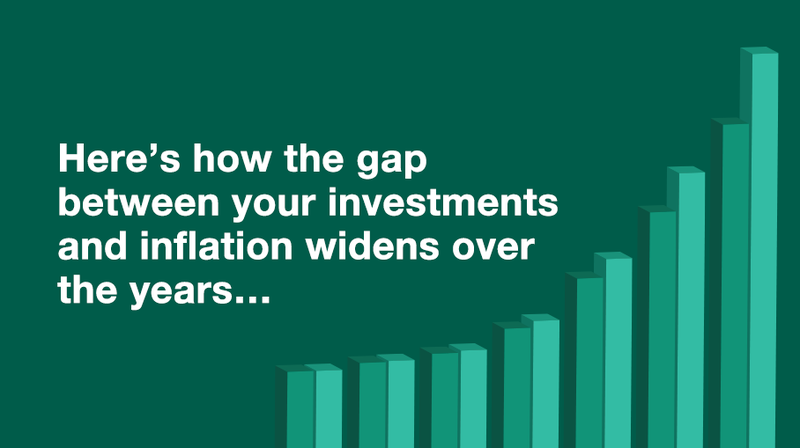 Now when inflation is at 7% and you seek total safety of the principal amount, you would be able to invest in avenues that offer returns very close to the inflation. Adjust for taxes on the investment returns and your post-tax investment returns are lower than inflation. If inflation is 7% per year, and you can buy something for Rs. 100 now, you would need Rs. 107 to buy the same thing next year. A year later, the same item would cost Rs. 114.49, if the inflation remains at the same level. At the same time, if you had saved your money in a totally safe avenue that offered 6% per year after taxes, your Rs. 100 would grow to Rs. 106. This is Re. 1 less than the amount required above. After two years, the amount would have grown to Rs. 112.36, which is less than the cost of the item to be purchased. The table on the left highlights an approximate of values of investments, costs of goals and the gaps between them over a period of years. So it’s important to not just save but invest. Are there different funds for different types of goals?